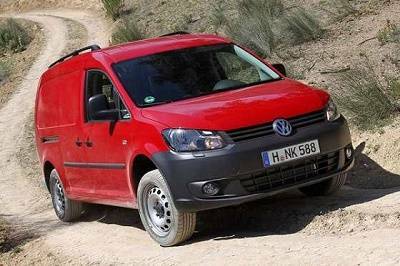 OFF ROAD VANS: There is no doubt that the range of 4x4 commercial vehicles are a niche area. But, this heavy-duty section provides reviews on heavy and hard-working commercials. As it grows, it will be specialist information for off road van buyers and followers. Find useful guides and road tests for new and used 4x4 vans and pickups. There are some gigantic box trucks for sale - not only in the UK but overseas too. Get up to speed with the latest four wheel drive van specifications, dimensions, and all the latest van news - big and small - from around the country. Many of the UK 4x4 offroading sites neglect the need to provide up-to-date statistics and important data on 4WD vans. Nonetheless, we aim to cater for those who need a true off-road warrior. There are times when only a four-wheel drive van fits the bill for an off road venture away from paved road surfaces. We are talking about the 4WD beasts that can easily negotiate steep inclines. These brutes can tackle shallow rivers and deeply rutted muddy terrain with ease. Many commercial vehicle operators are looking for the reassurance that their truck can cope with some less demanding off-roading and keep moving. This is especially so in snowy or icy conditions. UK van drivers are not keen on waiting for the gritters to arrive. 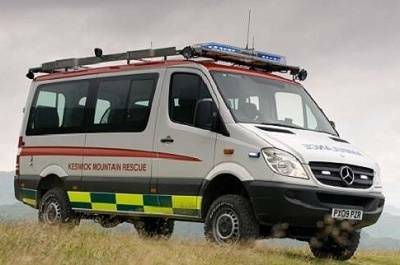 Off road van in the UK: Mercedes 4x4 Mountain Rescue Commercial Vehicle. Off road van in the United Kingdom: Volkswagen Caddy Maxi 4Motion. CAR OR VAN? There is a lot of confusion about the exact difference between a car and a van for tax purposes. Very often, we categorise a car, a van, or a commercial by the use that we put it to - or the way others use it. COMPANY CAR TAX: The page provides a simple explanation of what company car tax gets based on. It explains how HMRC company car tax deduction works for a 4WD pickup truck or a double cab. VAT ON COMMERCIALS: Information specific to the buying and selling of commercial vehicles. It is possible for a pickup to be classed as a commercial vehicle for VAT purposes, but subject to Company Car Tax in day to day use.